The EU’s buildings sector needs to develop and deploy more innovative solutions in order to enhance the building stock’s energy efficiency and help meet energy and climate policy targets. The European Union is therefore supporting projects that address design and construction processes as well as new technologies, with funding from the Horizon 2020 programme. The results developed by these projects address key challenges at each stage of the value chain for new nearly zero-energy buildings, deep renovation of existing buildings, and energy-smart buildings. 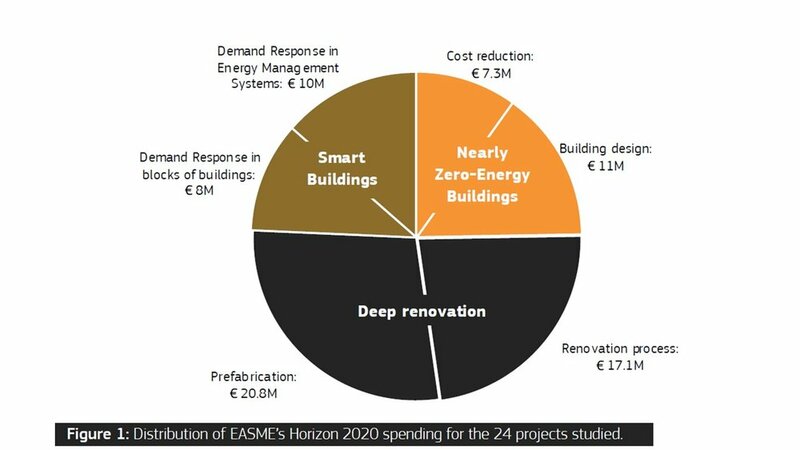 Since 2014, EASME has supported 24 projects working to promote the uptake of deep renovations, cost-effective NZEBs, and smart building technologies with over €74 million from the Horizon 2020 programme1. Accelerating deep renovation has been the focus of 12 projects. These can be divided into two categories: those looking to improve the renovation process (for example by providing holistic renovation packages through one-stop shops,) and those looking to reduce costs and installation time (by developing prefabricated components based on an industrial manufacturing process). Ensuring interoperability and engaging with the users remain some of the key challenges in this regard. Horizon 2020 projects have since 2014 been working to increase the energy efficiency of the buildings sector across several parts of the value chain, including design and construction processes, building components and energy management systems. The decarbonisation of the EU’s building sector requires a huge effort to renovate the existing stock, which already accounts for a large proportion of the buildings that will be standing in 2050. Despite the challenge, such retrofits are not taking place in sufficient numbers, and too many of them fall short of tapping the full savings potential. The limited appetite for energy renovation among building owners and tenants is a complex problem that often suffers from lengthy processes, high costs, split incentives between landlords and tenants, uncertainties about prospective savings and returns as well as a lack of integrated solutions due to the fragmentation of service providers. Addressing several of these issues, the creation of one-stop shops for deep renovation has proved to be an effective way to encourage owners to optimise the energy performance of their buildings. Apart from the need to renovate the existing building stock, it is also imperative that design and construction processes are able to deliver Nearly Zero-Energy Buildings in the market. In practice, the mainstreaming of NZEBs is hampered by a performance gap between designed and measured energy consumption. This is partly due to occupant behaviour not being sufficiently taken into account at the design stage1. Innovative building components are also needed to improve the energy performance of new NZEBs in a cost-effective manner and to facilitate the integration of renewable energy generated on-site or nearby. In addition to improving construction processes and building components, energy efficiency can also be enhanced by optimising energy management. This can for instance be achieved through improved controls linked to smart meters, sensors and appliances. Digital tools can also help to make the case for deep renovation by analysing and customising information on existing building systems for building users and investors. 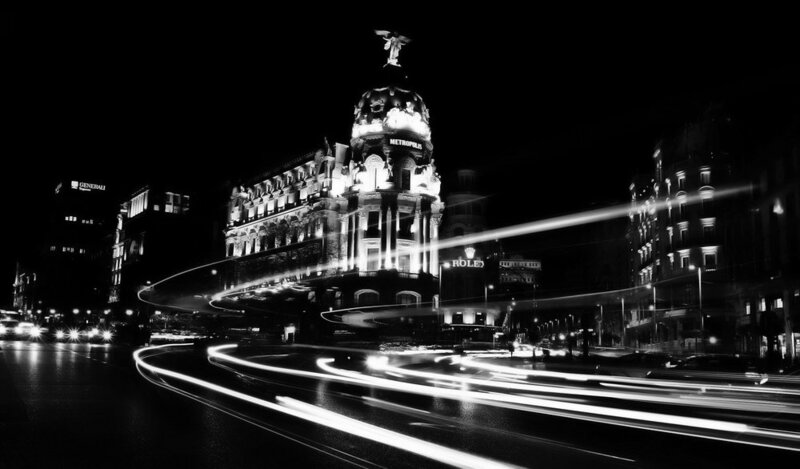 Using building energy management to balance energy networks also contributes to the energy efficiency of the wider energy system beyond the individual building, either by consuming less at peak demand hours or by consuming more when demand is low. Increasing the flexibility of energy demand in this way is key to tackling the growing need to balance consumption and generation that comes with the rising share of variable renewables in the EU energy mix. Buildings have the potential to provide such flexibility, through on-site energy storage, power-to-heat or activation of smart appliances. 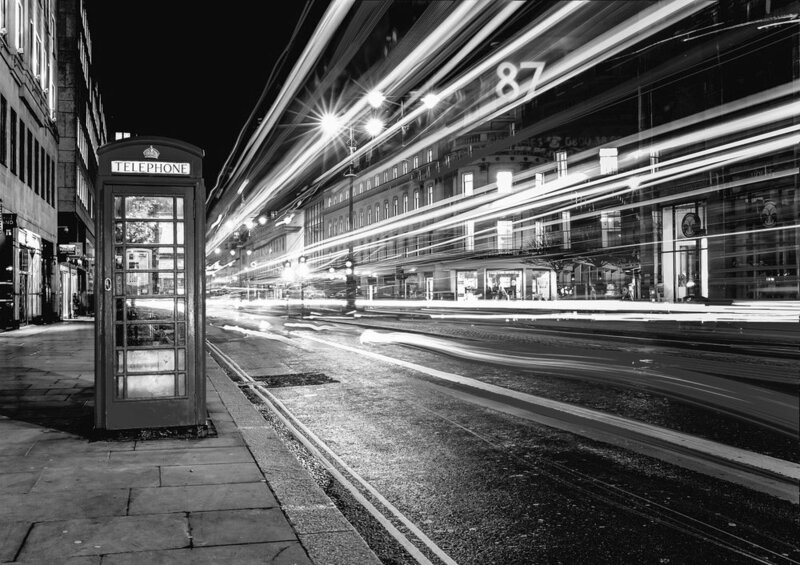 Aggregating the demand from multiple buildings offers the possibility to manage the large amount of energy that is needed to balance electricity markets. Although many of these projects have already developed promising solutions, more effort is needed if we are to decarbonise the EU’s building stock. Rates of renovation remain too low across most of Europe, new NZEBs too often use more energy than was expected and frequently cost too much to build, while the integration of buildings in Demand Response schemes has yet to become a market reality in many parts of the EU. Consequently, the European Commission is continuing to offer support for innovation and market uptake of high energy performing buildings via the Horizon 2020 Work Programme for secure, clean and efficient energy. For 2018 and 2019, the total budget for the Energy Efficiency Calls amounts to approximately €212 million.